I designed this print ad for the Austin Chronicle to promote the Rodriguez show at the Frank Erwin Center. I included all required information which was a pretty substantial amount of text, but kept it clean with clear hierarchy and good information organization. 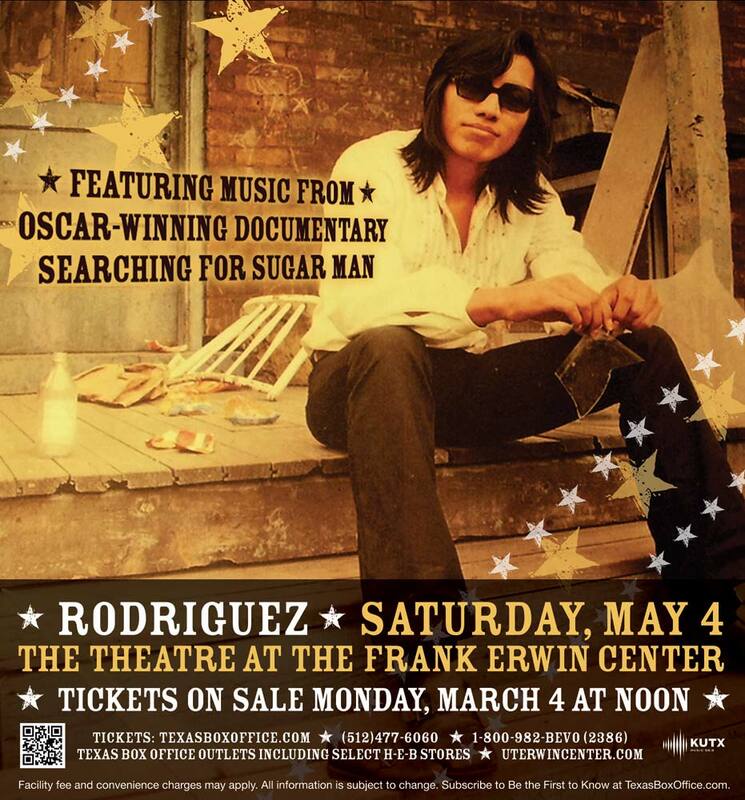 I was fortunate to have the opportunity to do the art for the Rodriguez show which was getting a good amount of attention with the oscar-winning documentary, Searching for Sugar Man. © Sakich Design. All Rights Reserved.